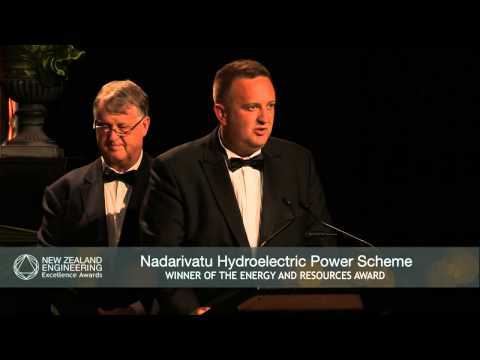 Recently TTT Products were awarded the prestigious New Zealand Engineering Excellence Award for Building and Construction for our innovative, new product – TTT MultiPoles. John Reelick of TTT Products worked with Mark Batchelar of mlb Consulting Engineers to design the impressive TTT MultiPole which has become invaluable in dealing with post-Canterbury-earthquake liquefaction concerns. What makes the TTT MultiPole so unique? A central core, comprising one third the diameter of a circular timber pole, is removed. Strength is barely affected, and the core space can be used in a variety of ways to enable fast and efficient installation, or the addition of grout/steel, etc. The TTT MultiPole can even be installed with the aid of a water jet which helps drive the pile into the ground, resulting in limited impact to neighbouring sites. Click a video to view.